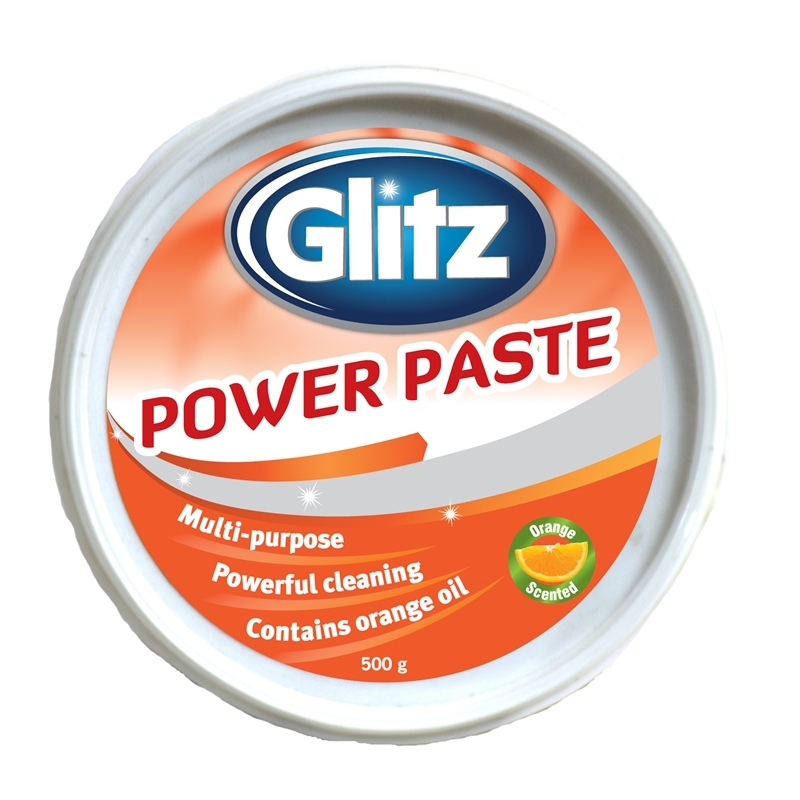 Glitz Power Paste with Orange Oil is a multi-purpose cleaning paste that removes grease, grime, dirt, baked-on foods, soap scum, mineral deposits, tarnish, surface rust and tree sap on hard surfaces. 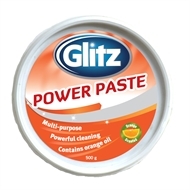 Suitable for use on aluminium, stainless steel, brass, chrome, enamel surfaces, fibreglass and tiles. 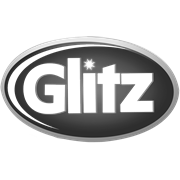 Ideal for cleaning boats, recreational vehicles, pans, ovens, grills, bench tops, floors, pools and outdoor furniture.